THIS IS NOT A HOUSE!!! If you google Ice Castle Fishhouse - that is what this is about. Fishhouses, Fishing, Hunting, Camping... not an actual house. 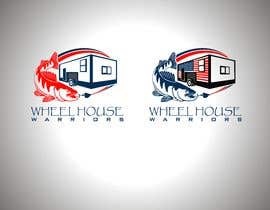 I started a site on Facebook that is for Wheel House owners - This logo will be used for flags, sweatshirts, stickers and gear for all wheel house owners. The site has grown at an amazing rate in less than a week! The font I have been using is Papyrus and the team likes this look, I have it in Bold on what I currently have. Here is my description of the site and what it is about. This group was created to join all wheel house owners or people who want to own a wheel house in the near future, together! Whether you own an Ice Castle, a Yetti, Grey Wolf, you name it! This is a community page for all wheel house owners and people who want to buy one but haven’t taken the plunge quite yet. This page will not be policed like other sites! I encourage people to share what they have to offer - there is no business like a family business. I would just ask that you DO NOT over post advertisements or update and edit previous posts to create a notification. I would love for this page to be about community! Where are you going this weekend!? Lets get together and how can we help one another out! We will try to create events throughout the season also. Please be kind and courteous to one another, I will delete things that are mean, political, or just plain wrong, or indecent. Please enjoy and please be kind! 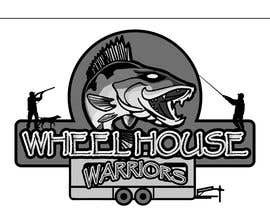 We all love ice fishing, hunting, and we all love camping and we all love our wheel houses! So welcome! Enjoy!! I hope this group brings community and kindness all around! Tight lines, happy camping, bonfires and hopefully we all can build some new friendships along the way too! Fishing, hunting and camping reports are welcome unlike other groups like this! There are two competitor sites to look out for. Ice Castle Owners Group and Ice Castle Owners Group Outlaws. We are not just about Ice Castle (brand name) wheel house - we are about ALL brands - this is geared towards everyone. You don't have to include an american flag but it is an idea as most wheel house owners have american flags on their wheel houses. I am not stuck on any color pallet. Thank you for your time in helping me get a logo designed and Good Luck to you all! I can NOT wait to see what you come up with! You can get more ideas about pictures etc by looking at our Facebook group under Wheel House Warriors. Thank you thank you! Exactly, and this dear poor customer buy a clipart design, everytime same! so, will be interesant When ask for copyright. Black and white in addition to this one. I noticed other designers gave both color and black and white which is awesome. You do all this before the deadline and you got it! Must use a walleye for the fish. Please check my entries #47 & #52 . Mam you already gave me stars for this logo. But my entry not showing in this contest. So I submit this logo again. Thank you. Please check my entry #47 . Thank you. But I am NOT stuck on the font! I want it to look cool though. Please keep in mind our demographic is mostly men between the ages of 27 and 47 - they are outdoors men and like fishing and hunting and are some pretty bad a$$ guys. A wheel house IS NOT a HOUSE!!! It is a fishhouse / camper - google ice castle fishhouse.